Dustin Johnson is a redemption story for the ages that will likely never be told. In twilight on the 18th green at Valhalla in August 2014, as a smiling Rory McIlroy held aloft the considerable bulk of the gleaming Wannamaker Trophy, the words of the Nina Simone classic were running through my head. Four-time major champion, winner of three consecutive tournaments and justifiably ranked number one in the world, the 25-year-old had the whole world in his hands. A pure ball striker, runaway major champion, and on a big money contract with Nike, McIlroy was long tipped to succeed Tiger Woods as the standout golfer in the world. With successive victories at the Open Championship, the WGC Bridgestone, and the US PGA Championship, mixing the steel with the sublime and getting the all-important win, it seemed the prophecy had come true – the McIlroy era had begun. Fast forward 12 months and recent winner of two majors and new world number one Jordan Spieth is watching greenside as Jason Day gets his hands on the Wannamaker Trophy. Five weeks later, Day was number one. Dustin Johnson finished his final round in what became something of a procession at Riviera. A cheque for $1.26 million is pocketed, but that’s not all. Another disappointing week for Jason Day meant that Johnson moved to the top of the world rankings. In a little over two and a half years, Adam Scott, McIlroy, Spieth, Day and now Johnson have enjoyed the view from the summit, but if you stand still at the top you’re getting knocked off your perch. Speaking on the CBS broadcast, Nick Faldo was critical of both the ranking system and Dustin Johnson’s ascent. 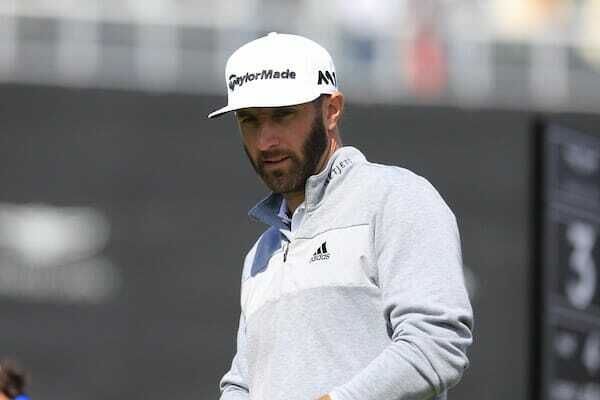 Faldo questioned Johnson’s credentials as world number one, saying that the current system allowed Johnson to win a major, play well for a year and become number one. Faldo didn’t become world number one until he won his fourth major, but then Faldo had to wrestle top spot from Greg Norman and Seve Ballesteros. Johnson may be three majors short of Faldo at this similar milestone in their careers, but it will come as a huge shock to me if Johnson doesn’t considerably close the gap over the next few years. A very good putter, a delicate touch around the greens, dart-like wedge play and of course, prodigious length, when DJ plays at the top of his game only McIlroy is capable of truly going toe-to-toe with the big man from South Carolina. Faldo’s comments belied his usual insight and analysis of the game. Dustin now has 13 top 10s at the majors, including the infamous grounded club incident at Whistling Straits that saw him denied a place in the 2010 PGA Championship playoff. Perhaps the negativity stems more from the murky waters of Johnson’s off course pursuits. The Tiger Woods scandal aside, the PGA Tour have been remarkably efficient at keeping the lid on anything that would make unwanted headlines for both the game and the tour but Johnsons ‘absences’ from the game, amid rumours of recreational drug use and dalliances with the wives of fellow tour players, made Dustin the official bad boy on tour. That Dustin appears to have overcome these “personal problems” and made his way to the top of the sport is the kind of redemption story that the media love, yet any such stories are conspicuous by their absence. How can you get redemption from something that never really happened? The world number one merry-go-round may continue, and Johnson may slip off the radar, but I certainly wouldn’t count on it. For now at least, he’s got the whole world in his hands.